Join Chef-Owner, Josh Grinker, of Kings Co Imperial- one of New York's most acclaimed Chinese restaurants, as he welcomes us to the world of Chinese dumpling making. Chef will begin by showing us how to make 3 different types of traditional Chinese dumplings from start to finish, followed by a demo of making the fillings. Each attendee will receive a hands-on tutorial on rolling the skins, and forming the dumplings. We’ll also discuss perfect, easy-to-make sauces for each dumpling, and the various cooking techniques required to place their prized dumplings on the table. A family-style meal, along with wine & beer are included with your booking. The two met in Vermont, cooking at a Chinese restaurant called A Single Pebble. Following a stint with a more French concept in Park Slope, the team—who have been friends for over 20 years and have a natural rapport that makes many mistake them for a couple—came to Williamsburg. Just this past June, the team opened their second location in the Lower East Side, expanding their mark and bringing even more New Yorkers closer to their love for delicious Chinese cuisine. 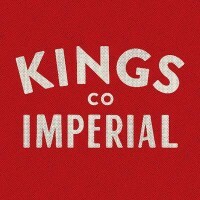 A Few Words on King's Co.